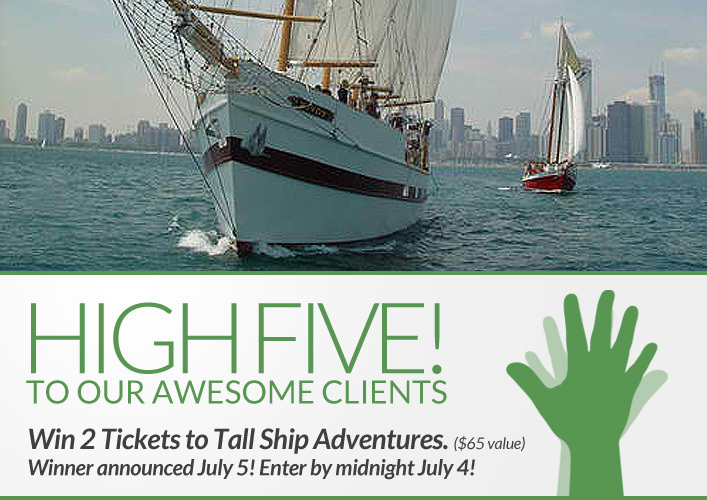 Win 2 Tickets to Tall Ship Adventures! Since opening, XEX has donated to Feeding America through our annual holiday benefit and by donating a portion of your sales. We have donated how many thousand meals to Feeding America so far? (Hint: Visit the Community page of the “Our Salon” section of our website for the ansewr! Now, just add a comment to this post with the right answer to be eligible to win! The winner will be announced on Thursday, July 5. Entries must be received by midnight on Wednesday, July 4. Overall 604,000 meals! Very cool! Over 604,000 meals! Glad to go to a salon that believes in philanthropy!